What is the movie supposed to mean? None of those specifics actually matter. A man named Cobb has recently lost his deeply beloved wife Mal (presumably to suicide). She was his rock, his steadfast. Now that she’s gone, Cobb feels immense guilt, as though her death were somehow his fault. Without her and overcome with guilt, Cobb grapples with accepting what is real. He teeters on loosing his own grip with reality just as Mal had previously done before ending her life. So that he can snap back to the reality of his two young kids who need him as well, Cobb concocts an extremely elaborate mental self-exploration to help himself overcome his grief and guilt. In the deepest levels of his mind, into his subconscious even, he wrestles with the possibility of having been an accidental contributor to his wife’s lost grasp on reality. But after much self-reflection, he eventually realizes that he must choose to accept that his wife’s mental instability began of her own doing, not his. Once finally accepting this, his guilt-laden memories of Mal no longer wreak havoc on his mental state. He’s able to once again acknowledge true reality: a life without his wife, yes… but a life with his children. Whereas his wife was once his rock and steadfast in life, now his children have become so. Isn’t that such a nice little story? Wouldn’t it have been nice if Christoper Nolan had made it easy on the audience and just told that story instead of the confusing one he did? But that’s not how he chose to tell this story and I love that he didn’t tell it simply! It’s so much more fun and stimulating and involves the audience into the depths of a man’s deep mental struggle with understanding what is real after a deep loss. The complex movie takes multiple viewings to process…just as other aspects of human existence must also be mulled over for a length of time before fully understanding their purpose. Bu…Bu…But Ronni…the movie was, like, way more complicated than that! What about all those dream layers, and kicks, and projections, and totems, and limbo, and the whole idea of planting thoughts in people’s minds?? There was so much more to everything than you make it sound; it’s just not that simple! Well, yes and no. Most things in life are both simple and complex, it all depends on how you perceive and understand a situation. But to help answer all those far more complicated questions you have about the movie, see below. 1) Does the top at the end stop spinning? 2) So the entire movie is just one big dream? For the most part, yes. It’s all Cobb’s dream (or I suppose you could call it a “mental processing” rather than a “sleeping dream” if you prefer). Everything is the dream except the very end scene when he spins the top on the dining table and while it spins, his kids turn around from playing in the yard, we see their faces, and they run to Cobb. Yes, this means the whole story with Saito and planting thoughts in people’s minds is all part of the same singular dream. Cobb has mentally concocted the entire setup as an extremely complicated way for him to deal with both his wife’s loss, and his new reality without her. This also means that all the other characters (Arthur, Ariadne, Eames, etc – everyone expect his father and kids) are merely Cobb’s dream projections. Pay attention to the street and apartment signs. Coincidence? Yeah, probably not. 3) But how can you be so sure, re: #2? How do you KNOW that he’s dreaming the whole time until then? Cobb’s dreaming of a white….haunting dead wife who’s about to shoot his own dream projection…within a dream projection. Well, I don’t KNOW (I’m not Christopher Nolan), but this explanation sure makes the most sense. For example, in the snow scene, Mal shows up and kills Fisher. At this time we’re supposed to be in Fisher‘s dream, meaning that other than the people hooked up to his dream on the little metal suitcase machine, that anyone else in that dream level would just be Fisher‘s projection. So there’s no way that Mal would be able to show up in Fisher’s dream, let alone kill Fisher (since he’s the dreamer and the one in control of the dream; he’s not going to dream that a stranger who looks exactly like Mal comes out of nowhere and suddenly kills him for no reason). The only way all of this really makes sense is if everything is Cobb’s dream all along. Oh, and here’s a fun fact: In Greek mythology, a woman Ariadne helps a man named Theseus ESCAPE A LABYRINTH AND KILL AN EVIL MINOTAUR, by giving him a RED ball of string that he uses to find his way out. See any connection here?? Hey, and did you also notice that Ariadne wears A LOT OF RED in the movie? She does. Ariadne, use your red sweater and save me from this labyrinth! 4) Then how many dream levels do you think are going on here? 5) Can you explain all the dream levels a bit more? I’m so lost. 7 layers? I thought there was only 3! Reality (Kids’ Faces): We only see actual reality briefly at the very end of the movie when he’s gone home and sees his kids. Dream Layer 1 (Paris): Yes, this part is all a dream. And all of the other characters (expect his dad and kids, which we see at the end) are just Cobb’s projections; they represent qualities or characteristics Cobb feels he needs to have in order to confront his guilt. Dream Layer 2 (Rain/City/Van): I don’t know what to call this layer exactly, but it’s what most people think is the first dream layer. It’s when Fisher is kidnapped and Saito is shot and they drive around in the van. Dream Layer 3 (Hotel): This is when Cobb confronts Fisher in the bar and informs him that he’s a victim of extraction and then there’s that fight in the spinning hotel hallway. 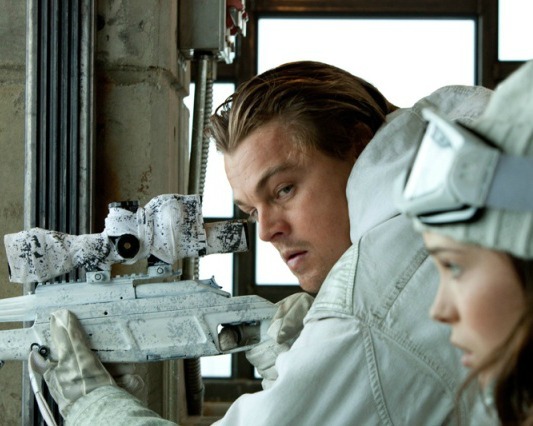 Dream Layer 4 (Snow Outpost): This is when they are in the middle of no where and everything is white and Mal shoots Fisher before he can unlock the safe and “inception” can happen. **Dream Layer 5 (unstructured dream space): At first I mistakenly thought this was Limbo, but I was incorrect. This unstructured dream space is the layer with all the buildings that Cobb and Mal once built and where they once dreamed together for decades. This is the deepest level before Limbo. **Limbo: Limbo is not really a “dream state” but the lowest form of unconsciousness. It’s basically brain mush where atrophy of the mind is a strong likelihood the longer you are there. You can only get this deep if you “die” in a previous dream state and have been sedated so that you can’t otherwise wake up to reality. **Note: I watched this again and in Dream Level 2, Cobb tells Ariande about the time he previously spent in Limbo. Which seems to imply that my Dream Level 5 and Limbo are actually the same thing. But…since this entire thing is one huge dream of Cobb’s these mis-matched or incomplete details are forgiven because, um, its a dream. And in dreams, it doesn’t all make perfect sense, but it makes enough sense that you go with it. But I really think that Limbo has to be a separate level than the level that Cobb found Mal in. 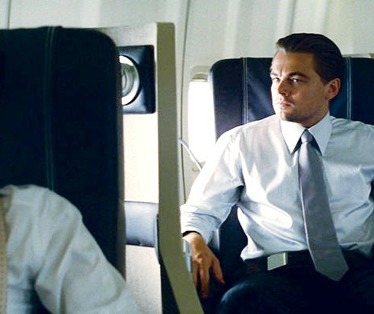 6) How do Saito and Cobb get out of Limbo and wake up on the plane? Did they “kill” themselves? Or did they just wait until the sedative wore off and they could wake up? And how did I get here again? They couldn’t’ve have just “killed” themselves in limbo if they were under a strong sedative – they would have just remained in limbo. So they probably just sat down there in limbo for decades until their sedative wore off and they woke up on the plane. See Related Post: An Election. Marriage. Communication and the movie ARRIVAL. However, either way, it really doesn’t matter at all. None of those little details about how EXACTLY each person got from one dream level to another really matter. Getting caught up in those details is fun, sure, but read on. 7) Of course all those details matter! If we don’t know how exactly it all worked, then how are we supposed to enjoy the beautiful complexities of the movie? OMG, you mean, like, none of these details matter because I’m just going to fill in the gaps with my sub-conscious anyway? So you know the scene where Cobb and Ariadne are at the French cafe and Cobb’s explaining how the dream world works? The architect only has to set up the framework – not every detail – of a world. The audience, er, dreamer will then fill in the gaps with their subconscious. So it’s not about the details of the film, er, dreamspace as much as it’s about the FEELING of what took place there. Get it? See, really, it’s ok if you can’t explain away every moment of the dream layers of Inception. A movie – like a dream – can never be the complete, actual reality. But as long as the general structure is in place, then your mind can fill in whatever smaller details it wants to however it feels right to. 8) But I still want to know things! 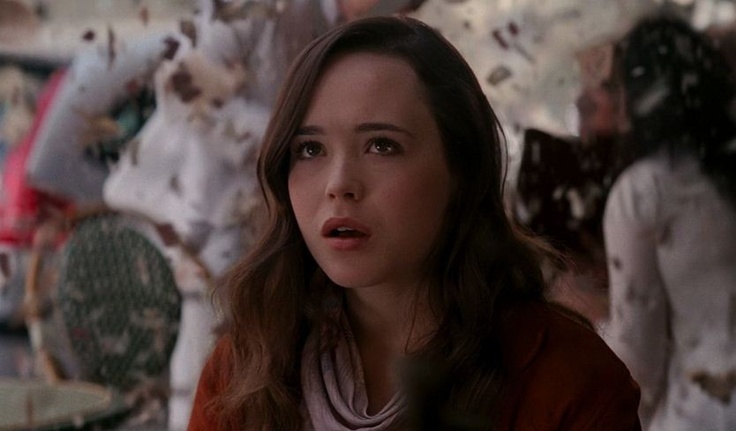 Like, why did Mal lock away her totem in that safe in the dollhouse? 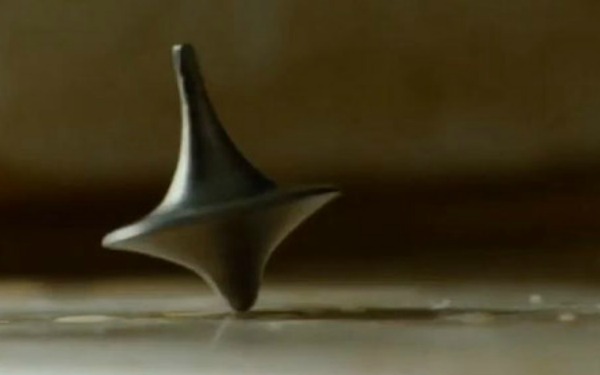 The spinning top – MAL’s totem – represented HER grasp on reality, or more specifically the acceptance that there is only one true reality and that she was not currently in it. When she locked her totem away, she was choosing to believe that there were multiple true realities (rather than what she previously knew to be true, that there was only one reality). Essentially, the moment she locked the top away in her deep subconscious is the moment she officially lost her grip on true reality…which eventually lead to her suicide. 9) What’s up with Cobb’s kids never turning their faces around? Are you real Daddy? Or are we? The simple explanation is that Cobb’s “totem” are his kids. Before the end of the movie, when Cobb is in his dream, he always refuses to mentally picture his kids turning their heads to look at him. He does this deliberately. If he acknowledges his kid’s faces as a reality when he’s in a dream, then he loses his grip on what is actually real and what isn’t. So in short, his kids are his totem. You probably want to say “but his kids can’t be his totem because they’re just projections in his mind. He needs something tangible” or “but the top is already his totem”. BUT….either way, it doesn’t matter, because he invented the idea of totems and they only exist his his dream world as a device to measure reality. 10) But Cobb spins the top at the end, when you say he’s in reality. Why else would he have the top with him if totems were only part of his dream world, and not reality? I figure that if he considered this top in his dream to help him determine reality, then it would make sense why, as he first embraces the world of reality, why he leans on it as an aid. However, once he sees his children, he realizes that he no longer needs the top (or his memory of Mal) as his judgement for reality, but instead he now has his children as his reality. 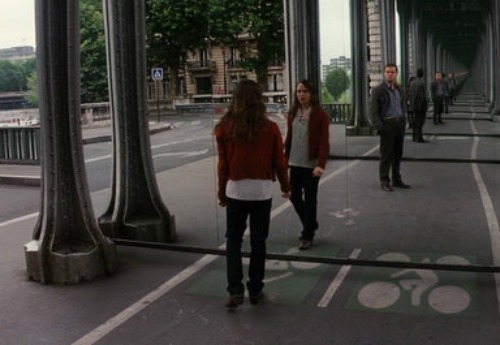 The overall conclusion of Inception: There’s only one reality. Whether we like it or not, whether we’re trying to come to terms with things or whether or not we want to accept the truth of a situation – there is always only one TRUE reality. Interesting but unfortunately I think he is still dreaming at the end. If everyone is just a projection to deal with guilty, then he was never on a plane and so he woke up at home? Plus the kids were in the same clothes, same age, and same position he saw them in his dreams when he walked in at the end. To me that in itself says he is in limbo. To much of a coincidence for me. As far as if he woke up on a plane or at home, my personal thoughts are that he was somewhere else (a counseling program, a retreat, a trip abroad with his father-in-law, etc, but somewhere where we was given time away to try to process out his emotional response to Mal’s death) – hence why he carries in a suitcase or briefcase (I think he has something in his hand, right? I’m not watching the movie right now but relying on memory 🙂 ) when he comes home at the end. We don’t know where he’s returning home from, but it really doesn’t matter. Dads are away from their kids for short periods of time for all sorts of reasons. The point is, he just came home and is going to see his kids. And he’s also just coming to terms with the reality of his wife’s death and his new life with kids without her. 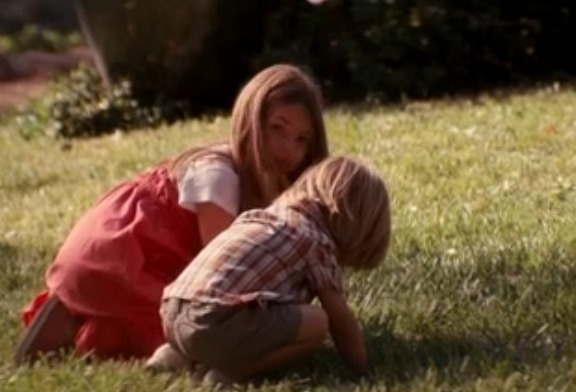 As far as the kids being in the same clothes at the end as in his dreams – I attribute this to continuity in filmmaking. When you only have so little time to convey complicated connections and concepts to an audience, you HAVE to rely on visual cues to tie bits of information together so that an audience can follow along. 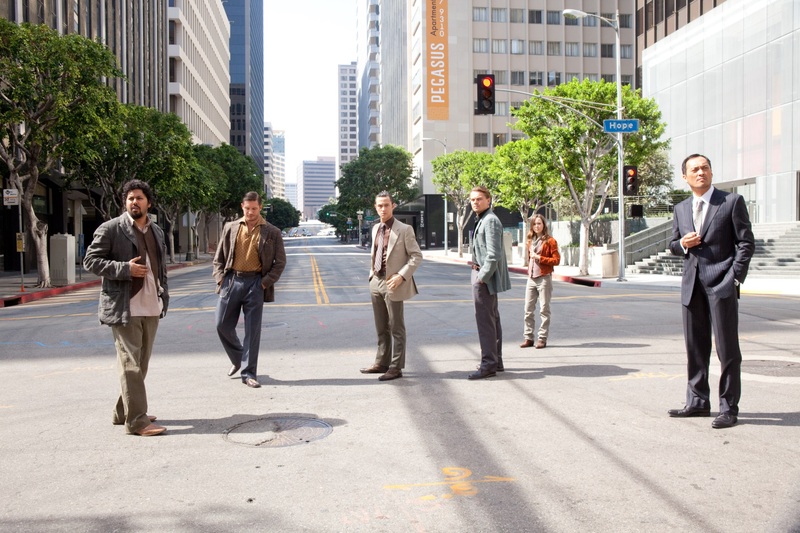 If this whole thing had been a true story – which of course it’s not since it’s all a fictional movie – then in the real dreams that Cobb would have while away from his kids, yeah, he likely would not be dreaming about his kids wearing the exact same outfits they would just happen to be wearing when he finally returned home. However, for the sake of how the filmmakers wanted the audience to connect Cobb’s children as his sense of reality, they needed to show the same basic image of them so that that image would stick in our minds and we’d better ‘get it’ when they turned around at the end. Interesting post. What do you think of this interpretation? ☺? Sorry, it’s kinda long so I posted the link…. Thanks for the link! I read though it and for the most part, I don’t think that screenrant’s interpretation contradicts any of my own – EXCEPT that I still believe that there is an extra dream level, because I believe that Paris is the very first dream level (and that they ONLY time true reality is shown is at the very end when he comes home to his kids). I do like how this link described more about how Mal could have lost touch with reality and lost the emotional connection to her husband and kids in true reality. I didn’t go into as much depth about this in my post. if having faceless corporations chase somebody around isn’t yet another dream state – exactly! As I stated in my interpretation, I believe this WAS actually the first dream level. Either way, I’m a fan of giving people the benefit of the doubt, so in regards to your comment that I don’t know what the film is about because I’m not seeing what Nolan is trying to tell me – it’s possible. Or not. But rest assured that I have pondered this film with significant reflection quite often. It is quite likely that whatever you feel this film is ultimately about is something that I have also already considered, but not expressed well in words. I have a feeling that when it comes down to it, that you and I wouldn’t completely disagree. Thank you again so much for your comment! !